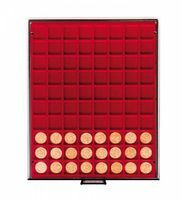 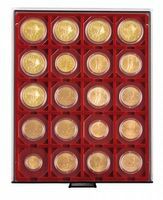 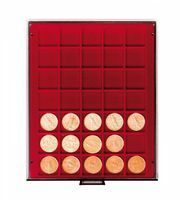 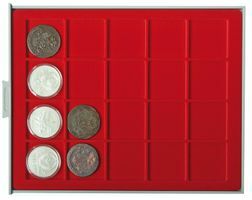 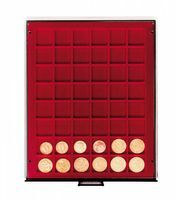 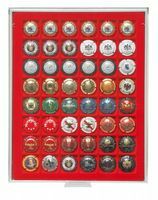 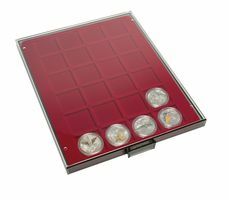 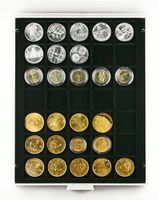 Coin box SMOKED GLASS with 35 quare compartments, suitable for coins and coin capsules with an external Ø up to 36 mm. 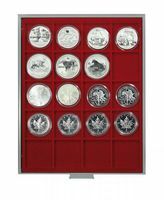 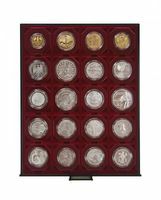 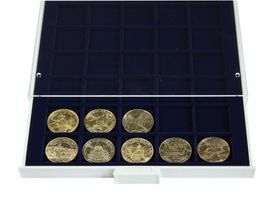 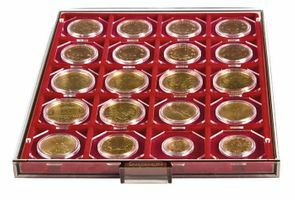 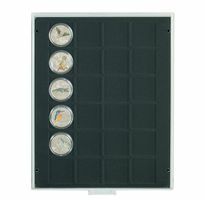 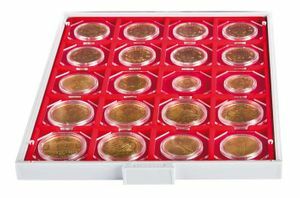 Coin box SMOKED GLASS with 30 square compartments, suitable for coins and coin capsules with an external Ø up to 38 mm. 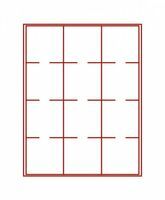 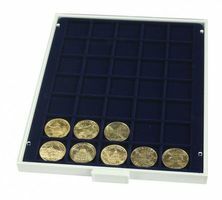 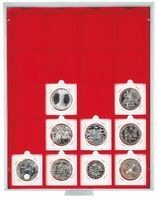 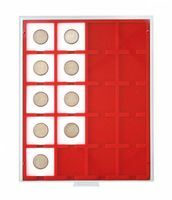 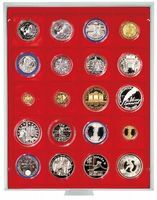 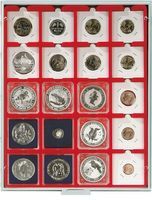 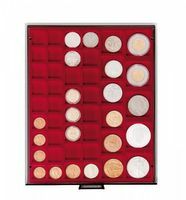 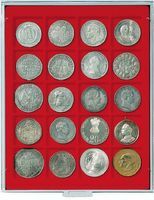 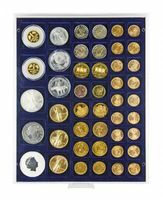 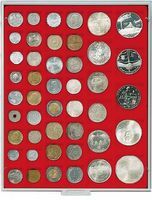 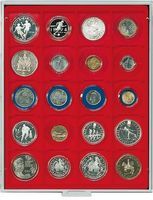 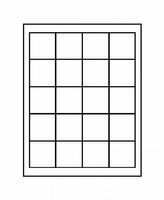 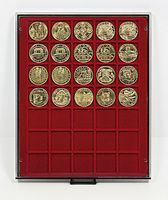 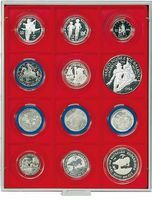 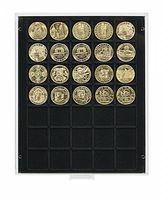 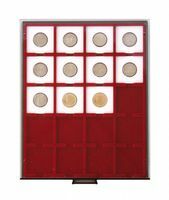 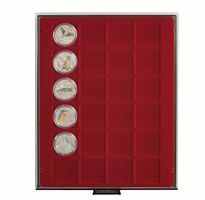 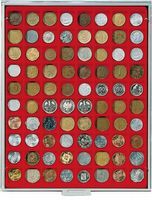 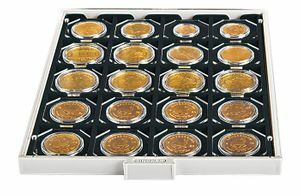 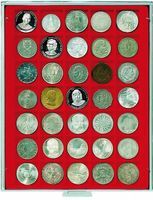 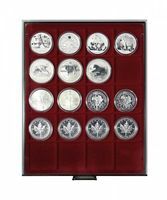 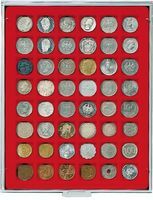 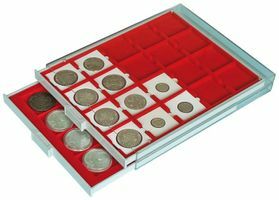 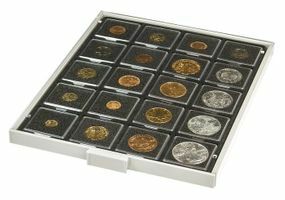 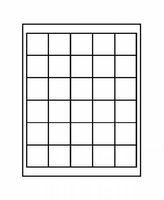 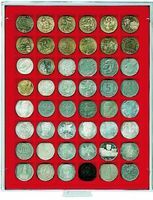 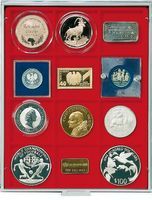 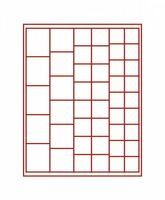 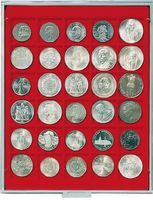 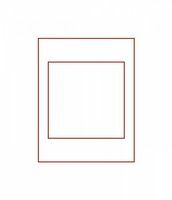 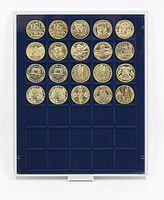 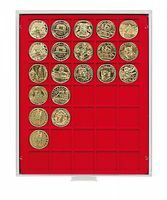 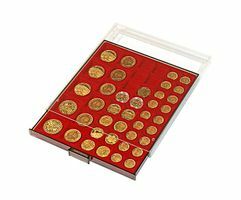 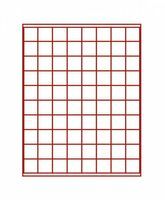 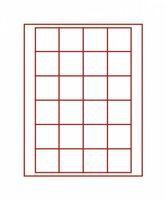 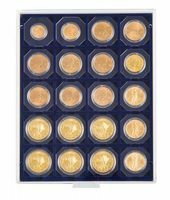 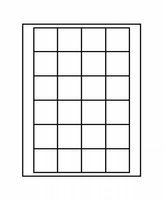 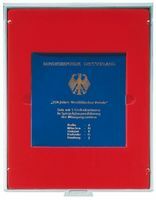 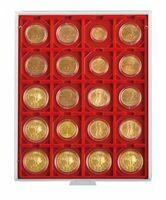 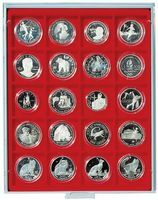 Box per monete STANDARD con uno scomparto quadrato per una moneta co mmemorativa 10 DM, fondo specchio, in confezione sigillata.